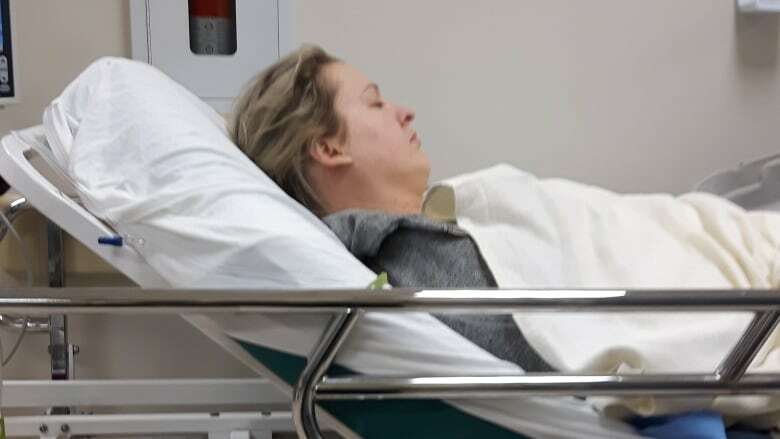 Although she was bleeding internally and in “excruciating pain,” Jamie-Lee Ball spent five days in a hallway of Brampton Civic Hospital, on a stretcher with no pillow and just three thin curtains between her and a busy public area. Her name is Jamie-Lee Ball, but for five days last month during severe overcrowding at a Brampton, Ont., hospital, she was "Hallway Patient No. 1." Although she was bleeding internally and in "excruciating pain," Ball spent five days in a hallway of Brampton Civic Hospital on a stretcher with no pillow and just three thin curtains between her and a busy public area. "It was really surprising," Ball said in an interview. "One of the comments that my mom made is that she felt like we were in a Third World country — deprived of a room, just lying on stretcher in the hallway." On March 25, Ball was suffering from severe abdominal pain. Having undergone major abdominal surgery in February, she worried it could be a complication and went to the emergency room at the Brampton hospital. Ball could tell the ER was busy, and not long after she arrived the hospital announced it was under "Code Gridlock," a state in which a hospital is essentially full and patients can no longer be admitted or moved to a bed. An ER doctor examined Ball and determined she was bleeding internally. The physician said she needed an IV and possibly a blood transfusion. But there were no rooms or even stretchers available. Ball was sent to the waiting room as her pain grew worse. "I got up from the wheelchair I was in and collapsed on the floor. I was in so much pain, I was screaming in pain and crying." Nurses found a stretcher, and Ball spent the next two days in the ER hallway. She was then transferred to what hospital staff called a "room" in the neurology unit. It was, in fact, another hallway. "I was directly beside the nurses' station, so they were talking all day and all night about patients, their personal lives," Ball said. "I had lights on above me the whole time. I had this little space, no pillow, no TV, no phone, no table. My friend brought me flowers and I couldn't even put them on a table, because there was no room," Ball said. With no room number, Ball said, staff referred to her as Hallway Patient No. 1. Other patients with serious health problems joined her in the hallway. "They actually moved me from one spot in the hallway to another, because there was a cancer patient who needed that specific spot in the hallway." Ball said everyone shared a single public bathroom down the hall. 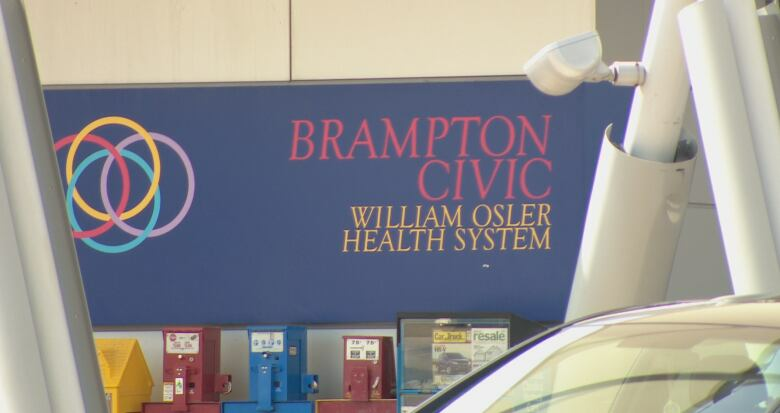 In a statement to CBC Toronto, Dr. Naveed Mohammad, vice-president of medical affairs with the William Osler Health System, said there has been "an exceptionally high number of patients in [the] emergency department (ED) at Brampton Civic Hospital over the last number of months. 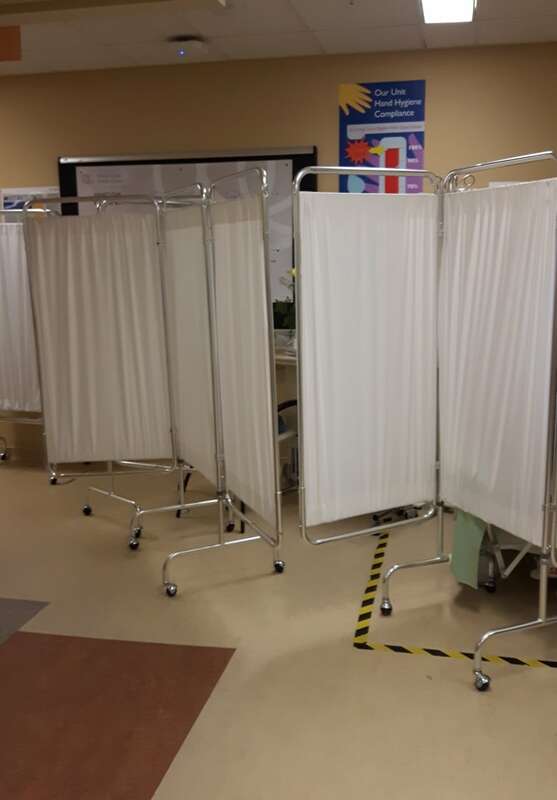 "We are trying to accommodate all patients and do use unconventional spaces for patient rooms, including the use of hallway beds, during these extremely busy times," the statement said. 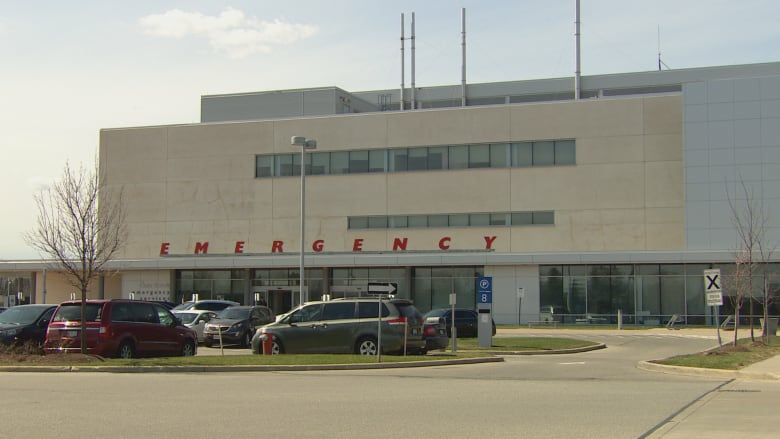 Mohammad said the hospital's emergency department is one of the busiest in Canada and "the majority of patients who visited the ED last month had conditions that ranged from life-threatening, to potentially life-threatening and serious." Efforts to improve care at the hospital are continuing, Mohammad said. On Wednesday, Premier Kathleen Wynne and Health Minister Eric Hoskins were asked about Ball's situation while they attended the official opening of another Brampton hospital, the Peel Memorial Centre for Health and Wellness Campus. While the new centre is not a 24-hour facility, Wynne said it will help relieve the burden on other area hospitals. "That's why this is such a great investment," Wynne said. Hoskins said the government invested an additional $25 million in the William Osler Health System to help alleviate crowding issues. However, neither could explain why, despite the new investment and facility, a lack of beds still persists at Brampton Civic Hospital. Mohammad said the new Peel Memorial reduced patient volume for "about 10 days," but it has now returned to its usual "very high levels." According to Brampton Civic Hospital, its emergency department was built to handle 250 patients per day. Last month, it averaged 357 per day.